With anything that’s new we often hear the phrase “we must learn to walk before we can run”, and it’s quite applicable when it comes to new technology, where development is completed in different phases delivering more capabilities over time. Today our smartphones and tablets connect us to the internet whenever we need to, making us feel constantly connected, whether walking, running, riding in the car or travelling on a train.This level of convenience must be maintained as we move into the 5G era, not only to provide a continuity of service but also to realize the full potential of 5G which will support much greater throughputs and lower network delay. With 5G mobile phones due in our hands next year, mobility and seamless integration with LTE networks are becoming key. For 5G there are a number of deployment options for service providers to consider, one of which is how 5G New Radio will connect existing 4G radios and core networks. The preferred approach initially being deployed by mobile operators is called ‘non-stand-a-lone’ (NSA) within which is a specific variant called ‘Option 3X’. 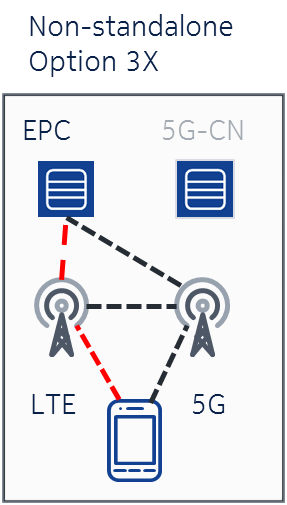 In NSA Option 3X you can see that in order to achieve connectivity, there must be integration between the new 5G radios and the existing 4G core (EPC) and 4G radio sites. Following tests which were conducted earlier this summer, including a series of 5G NR outdoor multi-gigabit transmissions, we have now achieved the next milestone in 5G with the first Layer 3 mobility handover based on the 3GPP 5G NR NSA standard. Although these standards from 3GPP for NSA Option 3x mobility have only recently been agreed upon, Nokia continues leading 5G developments with the first standards based 5G mobility demonstration. 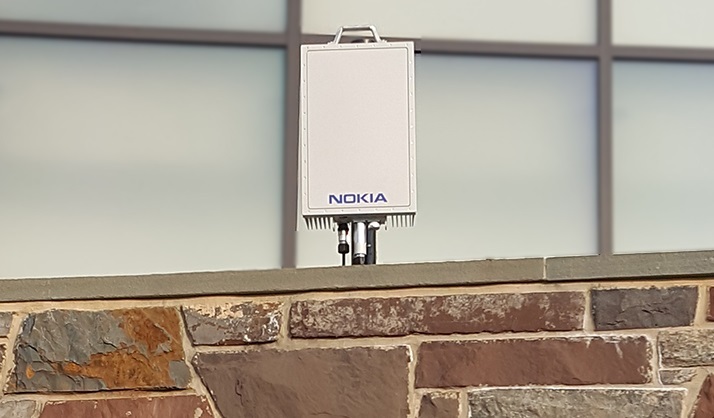 The first mobile handover test took place at Nokia’s 5G Trials Lab in Murray Hill involving a data transmission at 28 GHz. Two mmWave 5G NR radios connected to a vehicle that had a user equipment receiver and test equipment used to measure transmission information. The vehicle traveled from one 5G radio site to the other, achieving seamless 5G NR Layer 3 3GPP-compliant mobility handoff of the signal. 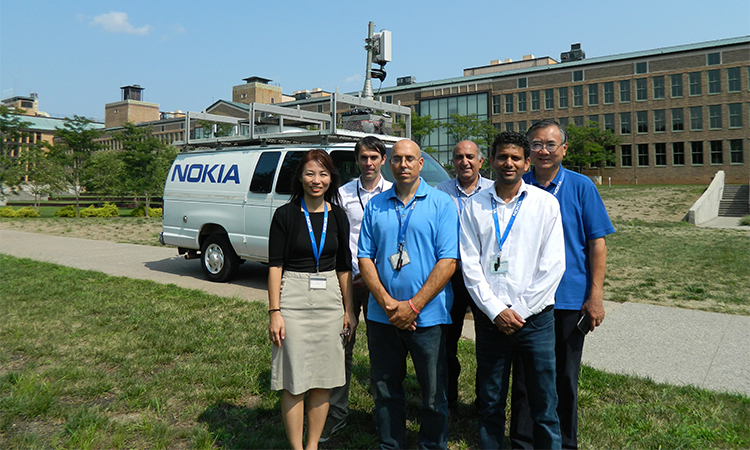 During the handover our Nokia engineers measured and evaluated a variety of metrics, including handover interruption time, uplink and downlink throughput stability, and latency. To be able to visualize what’s going on inside the network, we created a comprehensive dashboard that showed the key messages of the handover procedure, as the call is established and the data successfully transferred. Why is this important? 5G technology will provide faster, lower-latency access and have a dramatic effect on the number of devices that can connect to a network. By taking these tests out of the lab and into the field we are replicating the experience users will ultimately have in a mobile 5G environment. Achieving a seamless 5G call handover in an outdoor environment, where challenging RF conditions such as natural impairments from trees and reflections from buildings further indicate that we are clearly on the road to meeting the coverage demands of early 5G deployments. Enhanced mobile broadband will redefine the way we work and play, and consistent, seamless mobile connectivity is the cornerstone of all new types of services that will be realized with 5G. 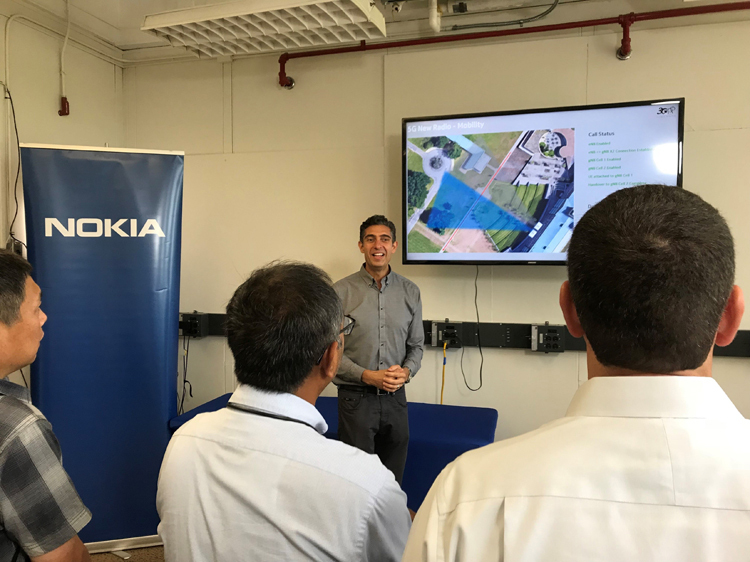 Nokia Airscale radio and Airframe are part of Nokia’s end-end 5G Future-X portfolio that will deliver the massive scale access for enhanced mobile broadband services and all future 5G capabilities, allowing service providers to unleash the full potential of 5G. There’s certainly no stopping us now, as we walk, run, drive and finally fly forward to a very mobile 5G future!